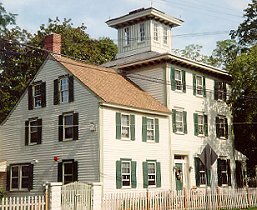 The "Pitney House" was built in 1799 and purchased by the doctor in 1834. In 1848, he added a three story Italianate addition. Among Dr. Pitney's many "first" includes bringing the railroad from Camden (across the river from Philadelphia) to isolated sand dunes, then known as Absecon Island - now Atlantic City. 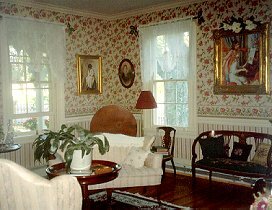 The bed and breakfast was recently restored "Pitney House" has six bedrooms, each with unique decor, private baths, and gas fireplaces. The "Doctor's guest quarters" located west of the commonyard from the "Pitney House" consist of four suites. Three suites have private baths with whirlpools the fourth suite has an ADA accessible bath and all suites have gas fireplaces, ceiling fans, color tv's with VCR's and air conditioning. 6 rooms, 4 suites, $125.00/$225.00 B&B; Credit Cards, checks & cash. This and other Absecon Bed and Breakfast Inns can be found here in The Register.